I use Outlook 2013 at work, and it would be a complete disaster if I were to lose my emails and stickynotes. 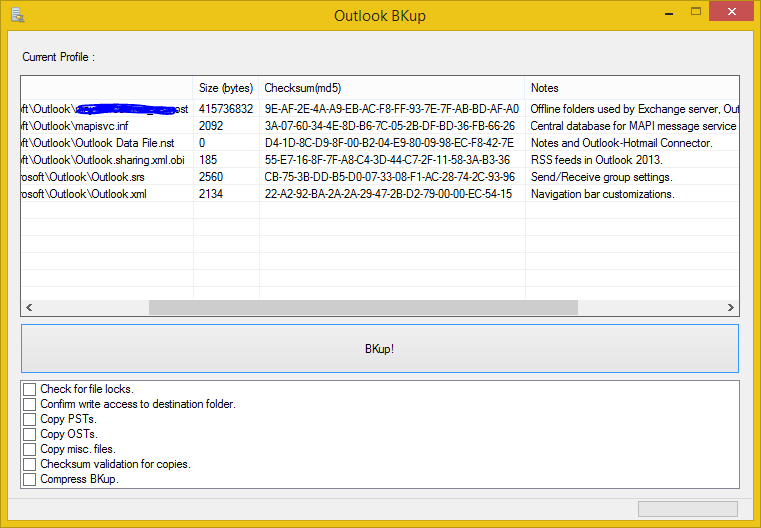 Since this backup feature is not built into Outlook, I decided to create my own. This program checks for file locks, copies, compresses the files, and then compares an MD5 hash against the original to guarantee file integrity. It’s only got 1 button so it would be difficult to mess up. It has been tested on Windows 7, 8, and 8.1 with both Office 2010 and 2013. Happiness. What is God? Who is God?